Delta Academy, Delta GEMS, and EMBODI. Click HERE to make a 501(c)(3) tax deductible donation to our chapter through the Delta Research and Educational Foundation. ​Your funds help provide great programming opportunities for the community. 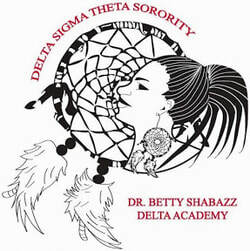 Restrict funds to the Douglas-Carroll-Paulding Counties Alumnae Chapter (General Scholarship Fund) on the form. Our chapter is a 501(c)(7) organization. You can still donate to our general scholarship fund. To donate to our chapter through our national 501(c)(3) foundation, please contact us at financialsec@dcpdst.org for more information.